Do you like Switch or Not?? Share it with your friends. Switch or Not? 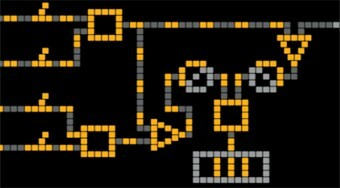 is a great puzzle game in which you have prepared a large portion of various levels of difficulty. In each round, your task will be to switch the levers on the board so that the flow of yellow pixels reaches the target in the form of a rectangle and creates a WIN inscription there. Video tutorial - Switch or Not?